We are dedicated to responding quickly to these urgent needs so that buildings and building contents can be protected from further damage. But once these initial needs are met, a new challenge presents itself and that’s why restoration and reconstruction work together to make the property functional again. When a building is damaged in a flood, fire, or other disaster, immediate concerns focus on temporary and protective measures, such as shoring to prevent structural collapse, boarding up to secure the building and removing water and unwanted debris. When you contact our professionals to perform reconstruction services. You can rest assured that your property is in good hands. Instead of hiring separate contractors to restore and rebuild a damaged building, why not stick with the same company who handled the initial disaster response and cleanup? 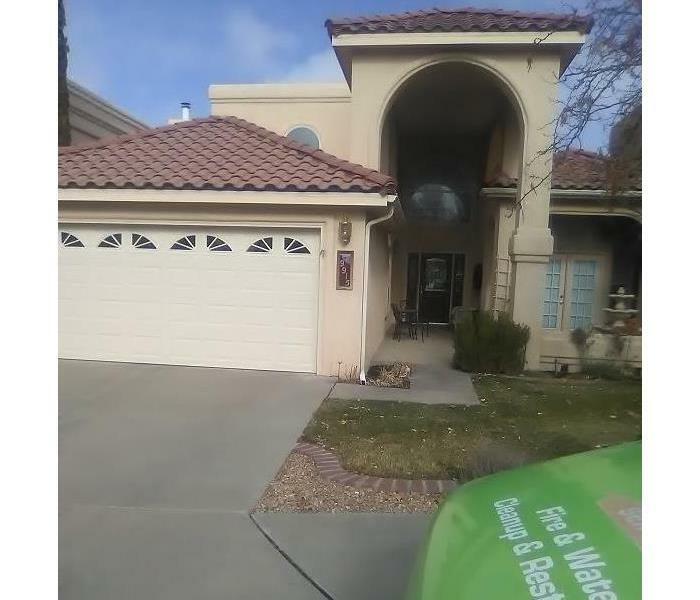 SERVPRO of NE Albuquerque we can provide this continuity by supervising a full range of restoration services that will bring your home or business back to full functionality quickly and efficiently. Don’t let a disaster turn into a catastrophe! SERVPRO of NE Albuquerque provides FREE estimates for all of our disaster recovery construction and restoration services. Contact our office today for your free consultation! Our professionals are standing by to help you in your time of need.